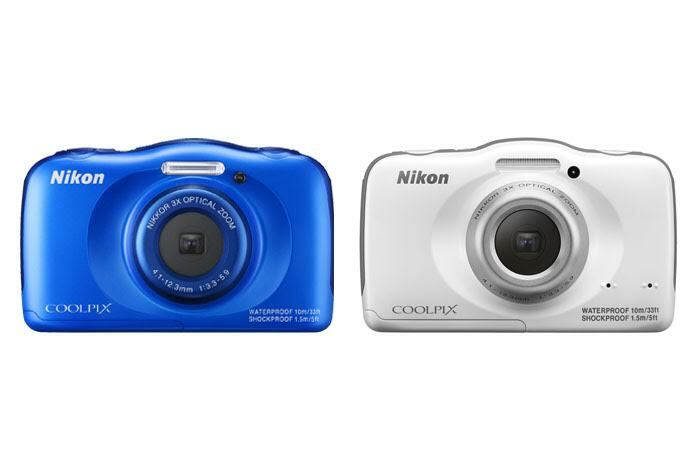 Are you confused in choosing between Nikon Coolpix S32 and Nikon Coolpix S33? Don’t worry! You have come to the right place here! You can find the comparisons between Nikon Coolpix S32 and Nikon Coolpix S33 in the following article. Of course, both of these models are attractive budget-friendly digital cameras. If you have a limited budget and wish not to spend too much, S32 and S33 make viable alternatives. The two products have been loved by many for their nice performance. Even so, they seem to be identical to each other. They even come in similar color variants, white and blue. Each of Nikon Coolpix S32 and Nikon Coolpix S33 has been equipped with an integrated flash. This feature is very handy to take care of low-light conditions. Using the built-in flash, you can easily take bright and visible images even in dark settings such as at nighttime or in a cave. Using a 30-90mm F/3.3-F/5.9 zoom lens, each of the two models offers up to 3X maximum optical magnification. The 13MP 1/3” CMOS image sensor allows them to be able to record videos with 1920 x 1080 maximum resolution. However, for continuous still image shooting, Nikon Coolpix S33 is a little bit slower than Nikon Coolpix S32. The reduced speed is hardly noticeable. However, Nikon Coolpix S32 does not have any built-in image stabilization system. So, if you can’t get the camera sturdy and stable enough, your photos and videos can be blurry. Nikon Coolpix S33, on the other hand, has implemented a digital image stabilization. Better than nothing, one would say, and this is true; the new model has improved image clarity that compensates shakes and vibrations quite well. As the conclusion, we recommend you to choose Nikon Coolpix S33. The addition of digital image stabilization is a very nice upgrade, promoting better image quality.